Set on the rocky coast of Cornwall, England, The Pirates of Penzance JR begins with a band of pirates celebrating the birthday of one of their own, Frederic, who has reached his 21st year. Having served his time with the pirates, he decides to strike off on his own. 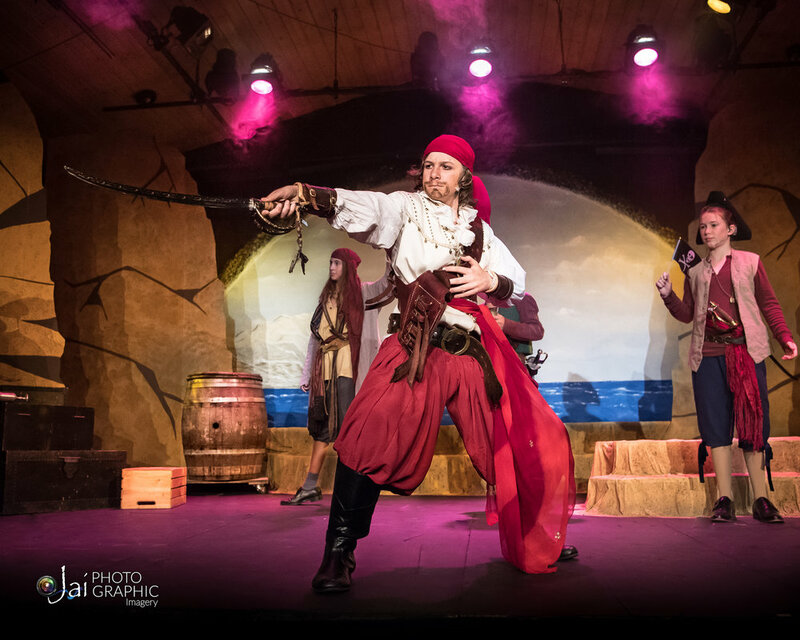 Soon drama and hilarity ensue with comic confusion and vivid song as pirates, maidens, and a very modern Major General come to terms with duty and delight! Adapted for the youth stage, the wit and whimsy of Gilbert and Sullivan's classic operetta score is suffused with a modern sensibility, and boasts one of the most famous patter songs in musical theatre history!